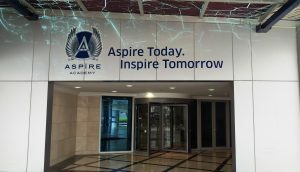 The fourth Healthy Food, Healthy Lifestyle event, entitled ‘EXERCISE YOUR HEALTH’ was held at the Aspire Academy in Doha, on Monday, May 15, 2017. The highly interactive workshop on health, nutrition and sport brought together government officials, industrial leaders, scientists and professionals who shared knowledge and gained further insight in pursuit of a healthier and more active society of the State of Qatar. Dietary and lifestyle related diseases and associated high medical bills, their negative effect on quality of life and significant economic and societal impact, is a global challenge. 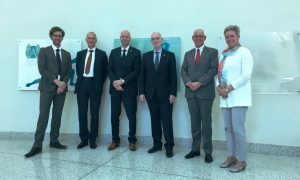 With stunning rates of obesity, diabetes type two and numerous cardiovascular diseases in the Gulf region, The Embassy of the Kingdom of the Netherlands together with GMBS Business Support found the need to establish the Healthy Food, Healthy Lifestyle™ (HFHL) initiative (www.hfhl.nl). This initiative aims to contribute to Gulf country governments and industries for its citizens to increase awareness, embrace healthier habits and adopt a more nutritious and balanced diet. It does so, by organising a series of seminars and highly interactive workshops throughout the Gulf region. 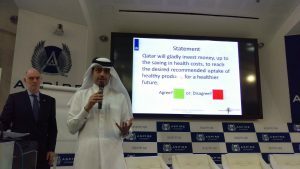 Besides Qatari expert speakers in the fields of health and nutrition, the workshop EXERCISE YOUR HEALTH also featured Dutch speakers, such as from GMBS Business Support, The Choices Program and the Netherlands Knowledge Centre for Sports. Participants shared their knowledge, experience and views to jointly tackle health related issues and present causes and possible solutions to their fellow participants. 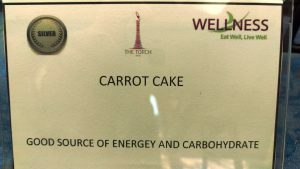 A most healthy and delicious lunch was provided by The Torch hotel. Each food item on the buffet had a label describing its key characteristics and a bronze, silver or gold label to indicate its healthiness. The following day visits were made to the State of Qatar Ministry of Public Health, Shell CSR Management, SAIC farms amongst other, and supermarket fresh produce surveys. We hope to initiate, co-formulate and implement fresh produce and health awareness projects in the State of Qatar in the near future in collaboration with our reputable Qatari contacts. For more info on Healthy Food Healthy Lifestyle™, visit the HFHL website.